From virtually anywhere in the world, you can monitor and control your buildings with our easy-to-use graphic software. Use our 3D animation and full-color graphics to access real-time data and energy management features. As-built drawings, floor plans, and specific graphics of HVAC equipment can be customized for each site. The flexibility of BACnet® allows connection to local area networks and the internet. As a leader in web-based operator work stations, Tridium is a front runner in open platforms, application software frameworks, automation infrastructure technology, energy management, and device-to-enterprise integration solutions. Tridium products facilitate and integrate many building automation control systems. BACnet is a data communication protocol for building automation and control networks that was developed by AHRAE and is the national standard. BACnet’s flexibility allows for streamlined communication to local networks and the internet for applications such as heating, ventilation, and air conditioning. A completely integrated BMS and Lighting solutions gives the customer a single UI to interact, control, and manage both systems. 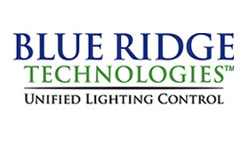 Since Blue Ridge Lighting relies upon the BMS front end, Alerton’s user-friendly Compass software provides the seamless overlay of systems for quick and intuitive navigation and system insight.